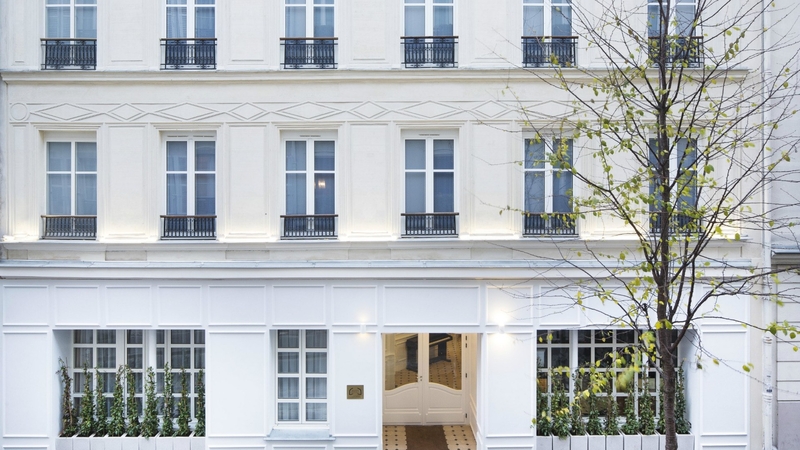 Nestled between Opera Garnier and Montmartre not very far from the Arc, on the right bank of Paris, let’s discover Hôtel Celeste hidden behind its white flowered honeysuckle. 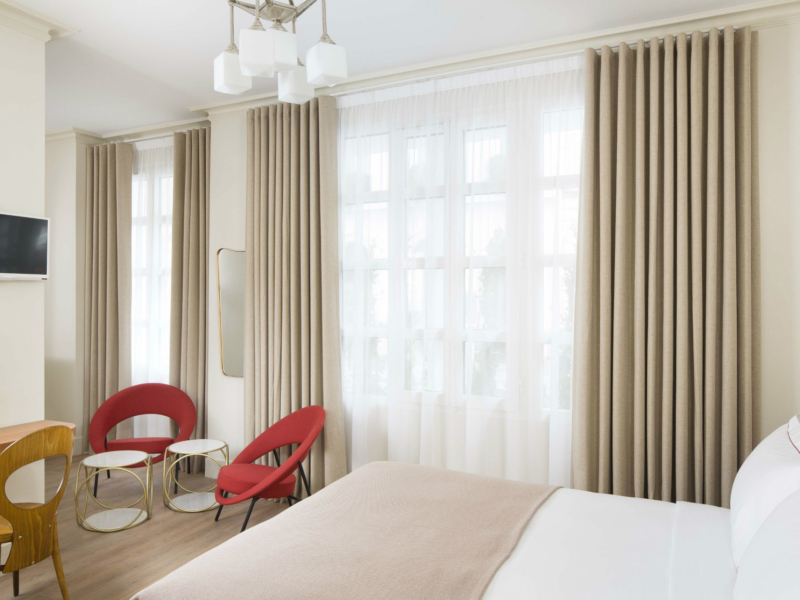 The courtyard only flowered by white camelias, the piano bar, the wellness area of Hôtel Celeste give to its 30 quiet and welcoming rooms and suites an elegant but relaxing atmosphere. 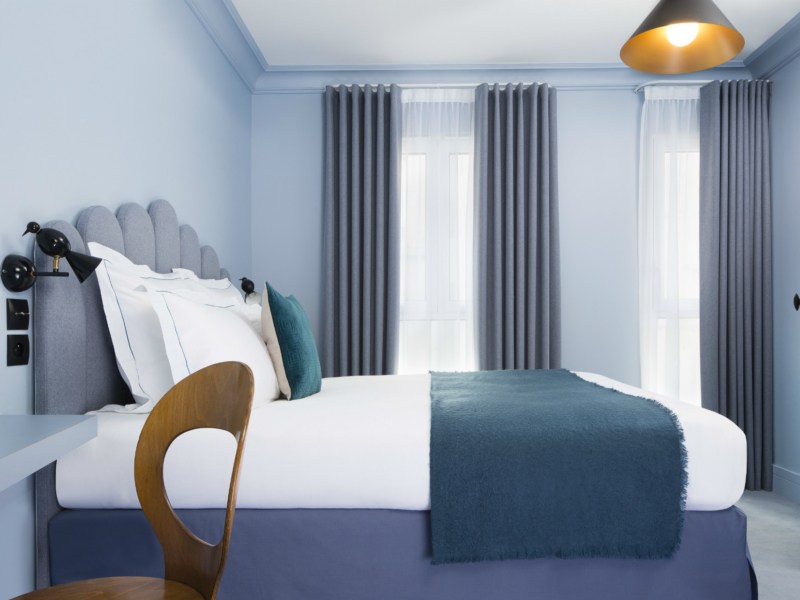 Our rooms are of timeless fashion and aspire to tranquility. 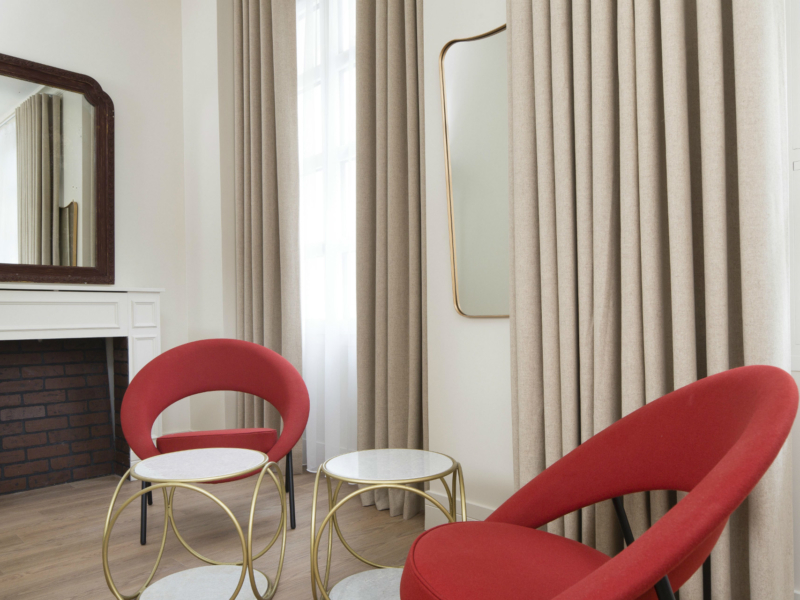 They have been fully renovated and decorated with timeless and fine design, with natural quality fabrics . 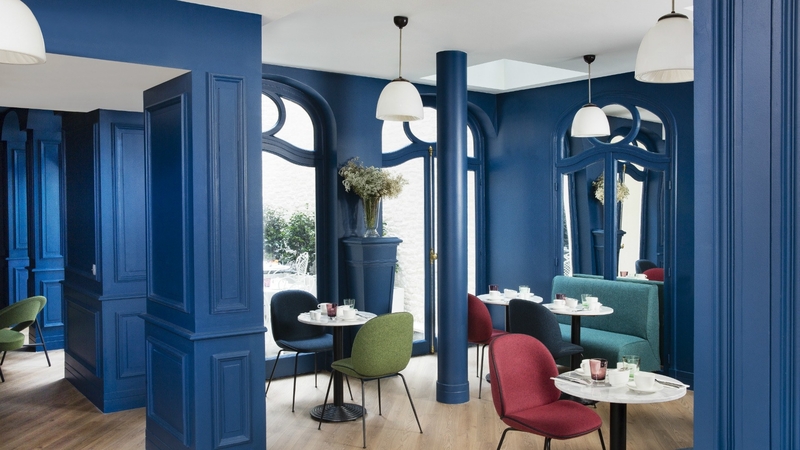 The colours of the rooms have been chosen according to the sky of Paris in monochromes mixing blue, grey and beige to reflect a calm and soft atmoshpere. Furniture are a mixed of design and vintage. 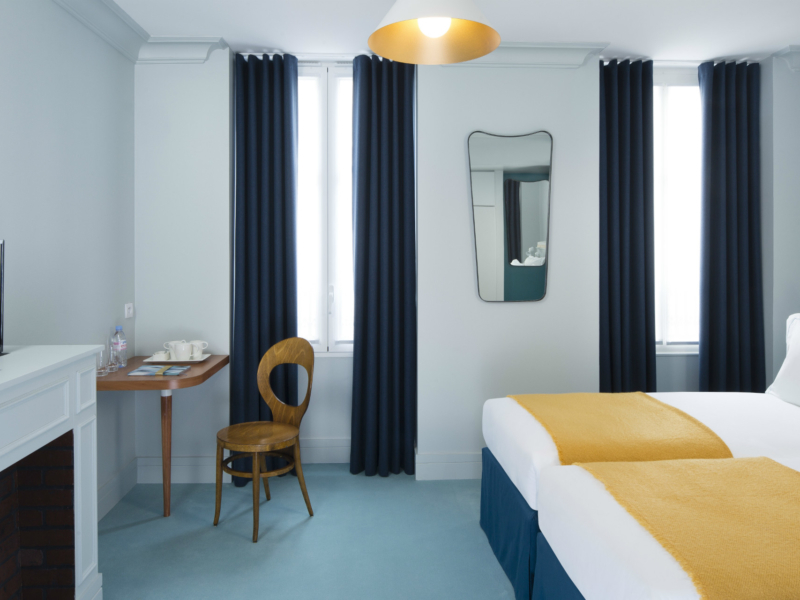 Beddings are very high french qualities to ensure our guests they will spend good nights.The bathrooms have a retro style to them, hidden behind cupboards doors. Some rooms have shower,others bath tubs and the suite Deluxe have the two. All the bedrooms are air conditionned and perfectly soundproofed. 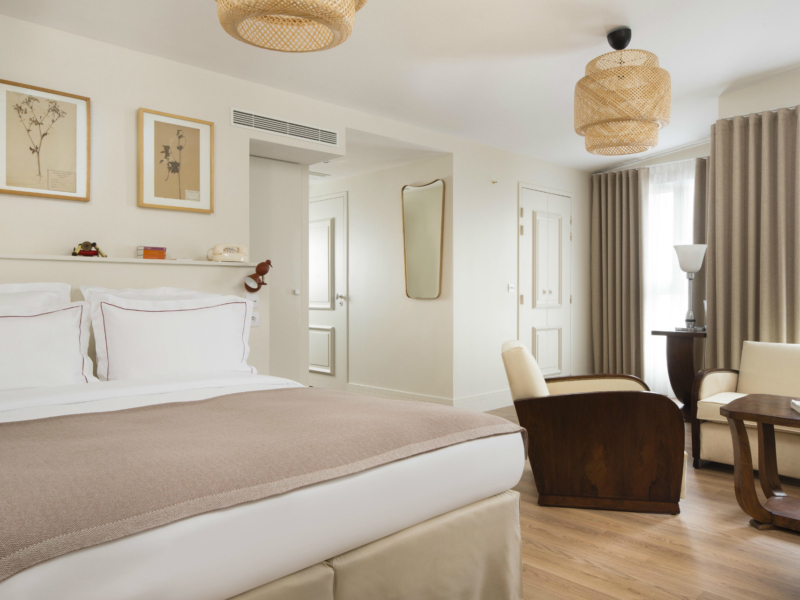 For the well being of its guests, Hotel Celeste would like to provide peacefull moments of relaxation. The sauna and jacuzzy of Hotel Celeste are enterely dedicated to moment in solo or duo. 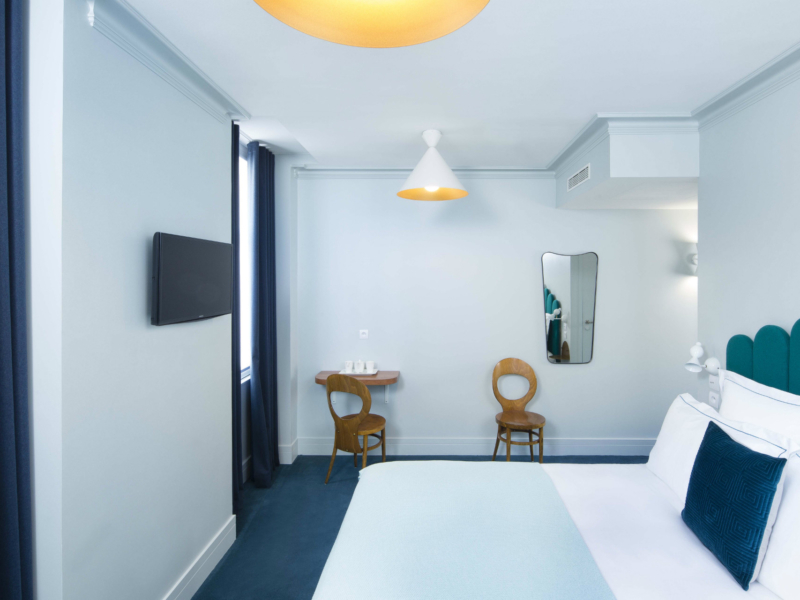 Situated between Montmartre and Opéra Garnier, nearby Batignolles Village, at 10 mn to the Arc, Hotel Celeste is a new four stars boutique hotel & spa of 30 rooms and suites.